recently i've been neglecting my cooky book project, neglecting new cookie recipes in favor of testing out others, like coconut-key lime bars, toasty coconut wedges, brown sugar cheesecake...mother's day is coming up you know but more on that later. 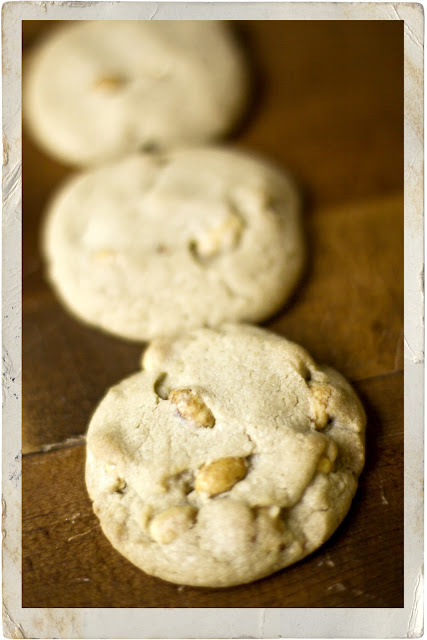 so this week i was happy to get back to cookies with my 13th recipe from the betty crocker cooky book, salted peanut crisps. heat oven to 375. mix shortening, sugar, eggs and vanilla thoroughly. measure flour by dipping or by shifting. blend together flour, soda and salt; stir in. mix in peanuts. drop rounded teaspoonfuls of dough about 2" apart on lightly greased baking sheet. flatten with bottom of greased glass dipped in sugar. bake 8 to 10 minutes or until golden brown. makes about 6 dozen. very tasty! 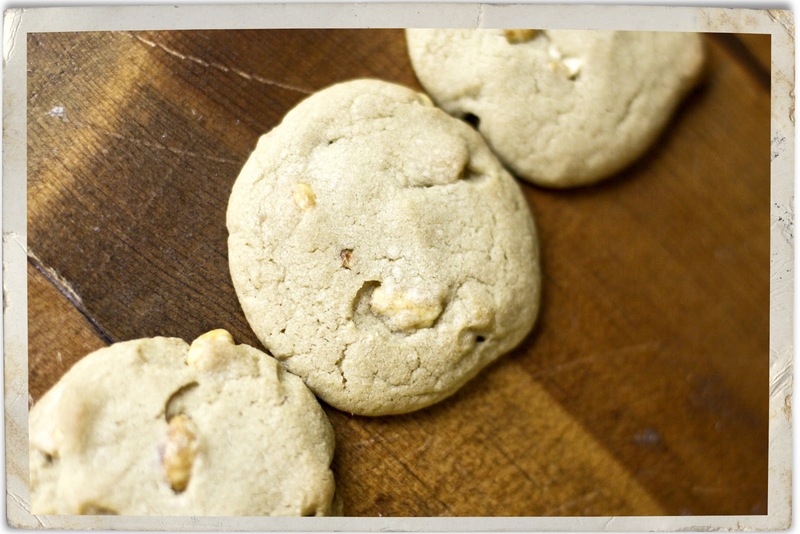 the cookie is a yummy, chewy brown sugar cookie and the peanuts make wonderful, salty, little polka dots. i could eat another or a handful! 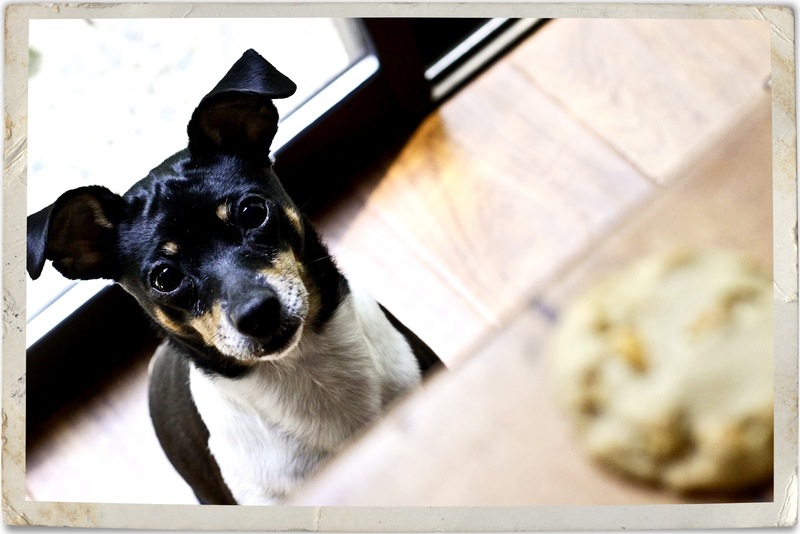 Ellie waiting for a cookie during the phoot shoot.